Ava Financial Ltd operates the AvaFX and AvaTrade forex brands and all business associated with them. The company has a branch office in Dublin, Ireland, which enabled it to get an operational license from the Irish authorities. AVATRADE is an online brokerage firm providing customized trading solutions to its clients since 2006. The broker offers two hundred plus instruments including forex, indices, stocks, commodities and CFDs. It is considered one of the leading brokers that offers you the ability to trade cryptocurrencies. The broker is headquartered in Dublin, Ireland and their reach is global with a large clientele base across the world. Like many brokers, they do not accept clients from the USA. The company holds segregated bank accounts to ensure maximum security of client’s funds. To protect the sensitive online information, the broker uses SSL encrypted HTTPS web protocols. The broker offers a wide range of deposit and withdrawal methods to its clients including payments through cards, electronic wallets, bank wire, as well as other local payment methods. In this AVATRADE review we cover some key features you should know about this broker. The broker is fully authorized and regulated by various regulatory authorities around the world. The Central Bank of Ireland regulates the broker to provide its services across Europe. Other regulatory authorities include Australian Securities and Investments Commission, South African Services Board, Financial Services Authority and BVI Financial Services Commission. As mentioned earlier, AVATRADE is regarded as a pioneer in bitcoin and other cryptocurrency trading. Over a last few months, cryptocurrencies have outclassed all other assets because of their huge growth. AVATRADE is running a promotional campaign to provide bonus rewards for traders wishing to trade cryptocurrencies. The broker is offering its clients vanilla options. It’s a type of financial instrument that gives its holders right to buy or sell various underlying assets. Remember, it is not an obligation for traders to do so. It solely depends on traders will. The broker has two account types to offer to its clients, these include a live account and a practice account. 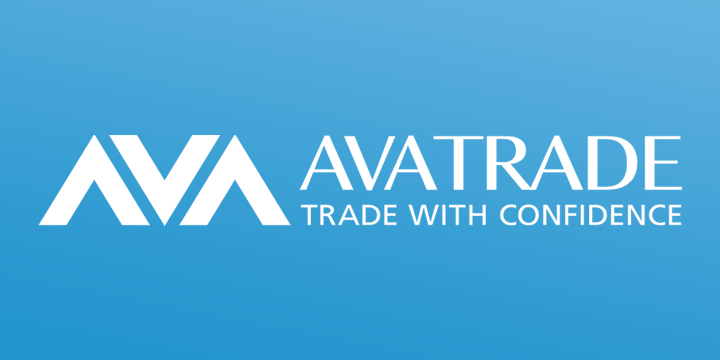 Traders are required to deposit a minimum of $100 to open an account with AVATRADE. However, a minimum of $500 deposit is required if the transaction is made through wire transfers. The broker also offers an Islamic account for Muslim traders. AvaTrade is one of only few brokers that allows clients to make deposit and withdrawals using PayPal. AVATRADE also offers its clients a practice account. Traders can learn different trading and money management strategies without putting their real investment at stake. Once traders become confident enough, they can switch their demo account to real account. As soon as the account is switched to real, traders will start making money by trading the live market. AVATRADE offers a range of different trading platforms to its clients including MetaTrader4, AVATRADEAct, AVAOptions, and AVATRADEGo. The broker also offers web-based and automated trading to its clients. It can be accessed using mobile phones, PC or web. It has advanced analytical and charting tools available to offer to its clients. Note: The broker also offers the facility of automated trading, and for this purpose, it offers different trading apps including Mirror Trade, Robox, MQL5, API, and Zulutrade. Education is considered as a necessary element that helps clients to learn to trade. AVATRADE offers various resources to its clients including economic indicators guidance, video tutorials, and online webinars. An e-book is also available to download at AVATRADE. And finally to make traders understand different trading terminologies, the broker offers a glossary section. The broker offers hassle-free deposit and withdrawals process to its clients. There are various methods available to deposit and withdraw including debit card, credit card, Skrill, Neteller, bank transfers, web money and other local payment methods. To withdraw funds successfully, traders need to login their account and press the withdrawal tab. All funds will be transferred to the traders bank account they deposited with. Withdrawals are usually processed within 1-3 working days. AVATRADE offers multilingual customer support to its clients. The broker ensures the availability of well-versed professional staff for customer facilitation 24/5. Traders can access the official website of AVATRADE in 23 different languages. To contact the broker, clients can use different methods including telephone, and email. Traders can call on telephone number +1 212-941-9609 for inquiries and information. An online contact form can also be used to contact the broker. To facilitate customers on a runtime basis, the broker also offers a live chat interface. After a careful research and reviews about AvaTrade, we hereby conclude that it is one of the best and legitimate forex brokers. Its multiple regulation, user-friendly trading apps & platforms, multilingual customer support, minimum deposit requirement and competitive spreads make it stand out of the crowd. We, therefore, express our extreme satisfaction about AVATRADE.